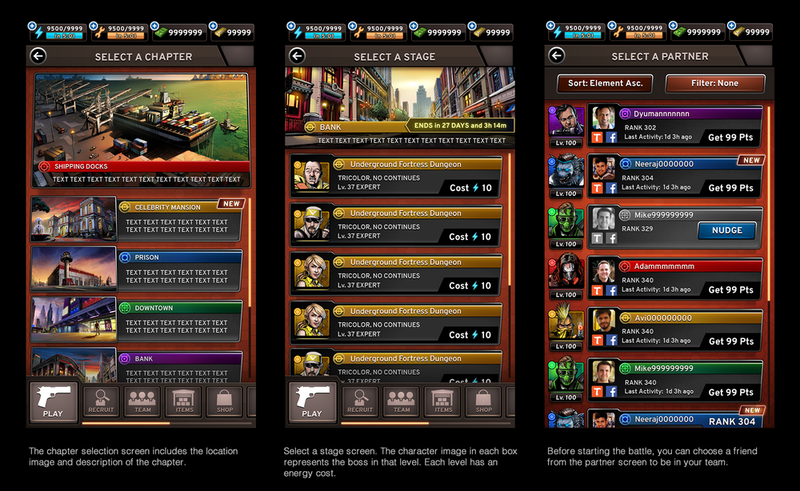 Crime Kings is a mobile game project with gameplay mechanics similar to Puzzle and Dragons. Users play through different locations in the world to battle powerful gangs and take over territories. This project was developed in-house for Tango, a social media app company. Role and Responsibilities: I was a Lead Artist at Tango. My main responsibilities for Crime Kings were art direction, UI design, 3d environments, and managed outsourced assets. I worked closely with the Game Designer, Engineers, and Product Owner to produce visuals and UI for game features. A closer look at some of the character designs. Samples of 3D environments in game (The Docks and Prison).